With an increasing focus on creating more blue collar jobs within the nation, the time seems apt for a networking focused company like LinkedIn to enter the fray. We look at how the deal would pan out. India today is confronted with a with a growing labour population which still remains largely unskilled. As education levels across the country finds itself growing, little by little, many righty feel that there is an increased necessity of providing good quality vocational training and skill-building opportunities to our working population. The ability to generate and maintain a high number of blue collar jobs is imperative to ensure that benefits of a growing economy are decentralized and growing masses are able to find suitable employment. The other way is for private players to come into the picture and fill gaps in the existing talent building and delivery mechanism. In an endeavour to ease the knots that exist within the labour markets today with respect to skill building and connecting people to the right jobs, LinkedIn has partnered with IL&FS Skills Development, the latter (https://www.ilfsindia.com/our-work/skill-development/) being a company that provides skill-building training across the nation and operates in Public Private Partnership model. 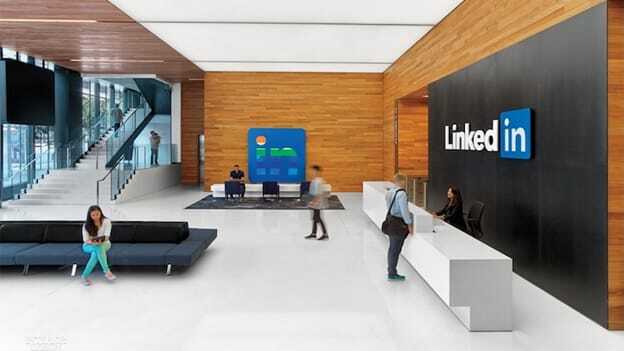 With the deal, LinkedIn India plans to enter into the blue-collar jobs marketplace. As the demand for jobs creation leads to the government to focus on skill building initiatives, the company anticipates a jump in the number of blue collar workers looking for suitable employment. Partnering with a skilling company the size of IL&FS Skills Development the networking technology provider aims to tap into the talent pool of million people strong urban workforce; doing jobs ranging from plumbers, bartenders, masons, amongst others. “We are looking to expand beyond skilling the knowledge worker,” said Akshay Kothari, Country Manager. He added that as a part of this strategy, LinkedIn has partnered with IL&FS Skills Development, to help upskill the blue-collar workers and job seekers in the country and improve their employability at a time when hiring amongst corporates is looking bleak. Professional networking firm LinkedIn has seen "extremely healthy" growth in India and is now working towards bringing blue-collar jobs onto its platform to further expand its offerings here, its co-founder Allen Blue today said in a statement to PTI. The deal aims to simplify the process of training people and then successfully connecting them to right employers. The two partners to the party bring their core competency, training, and connecting people respectively, and hope to create synergy, in the truest sense of the word. This becomes crucial in a country like India as here some states have labour shortages and others have labour surplus which makes job placements challenging. As a part of this initiative, IL&FS Skills will continue to design and provide skilling modules and training and LinkedIn will help the participants find a job by utilizing its extensive network of professionals. Job seekers will use the LinkedIn platform to create their profile, access learning content, build their network and get a job. According to the statement, a batch of 400 people will get trained in the hospitality sector and that this will soon be extended to other sectors. Given a successful journey within the Indian white-collar job market scene, LinkedIn views India untapped potential in creating blue-collar jobs quite significant. According to Ryan Roslansky, Head of Product, LinkedIn, with every business getting disrupted in some form, due to rapid technology, blue-collar workers need to be upskilled at every juncture. "The growth in India is tremendous and the way we measure our success, the growth in India is extremely healthy. Moving into the blue-collar space is something we know we need to do to be successful here in India," Blue told PTI. LinkedIn, which has over 500 million members, counts India as its second-largest user base with over 42 million users. The platform allows employers and job-seekers to connect with each other. Although this a move that’s required today to remove the information asymmetry within the labour markets, it might not just as easy as it sounds. To enter the blue collar job markets, LinkedIn would have to significantly revamp its services to ensure its accessibility in a linguistically diverse nation like India. With the advent of smartphones in a big way in India, utilizing the mobile platform becomes key to ensure maximum reach. LinkedIn would also have to do a lot of groundwork, which includes creating awareness and creating a database of these professionals and bring both candidates and employers on the same platform. The other way is to go the acquisitions route which has been favorable for companies like TeamLease, Quess corp which remain dominant in this vertical. But at the same time, the market definitely seems right for such a venture to be successful. With an increased focus on improving skill levels, the Skill India mission is sure to take quality and reach of its interventions up a notch in the coming few years. Addressing such concerns Allen Blue told Business Insider "Employers on the LinkedIn platform hire across management levels and while LinkedIn is known for discovering great white-collar jobs, there is a need for high skilled blue collar workers. This is also an opportunity for us to work with employers who are hiring across the skills spectrum. Akshay Kothari, Country Manager and Head of Product, LinkedIn India said that this was an attempt to expand the LinkedIn Placements platform and as they expand across the employment sector, they will incorporate local languages starting with Hindi.